With the Alma 42 inch vanity by OVE Decors, your bathroom will always be top of the class. Classic white Shaker panelling tailors its side cabinets and central drawers, including adjustable shelves and an extra deep bottom drawer for smart storage. A White marble countertop and backsplash, undermount rectangular sink basin, elegant satin nickel pull handles and furniture inspired self-levelling legs get full marks for style. Customize with your own faucet for an easy bathroom renovation that passes with flying colors! 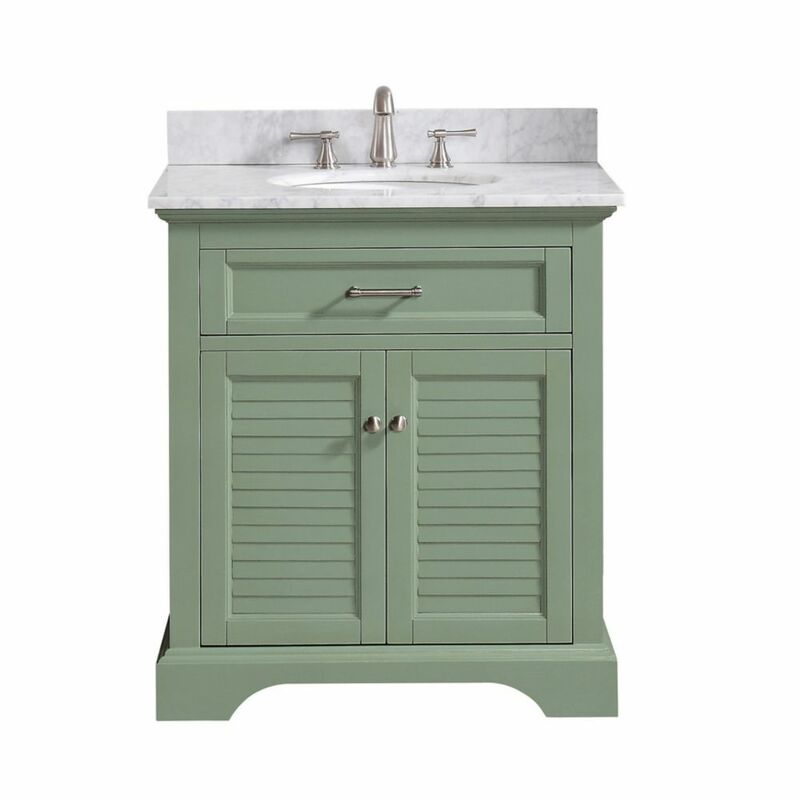 Colton 31 inch Vanity Combo Only in Basil Green with Carrera White Marble Top The Colton 31 inch vanity combo captures attention with its stunning Basil Green finish, brushed nickel hardware, and lovely louver doors. But Colton's construction is equally as compelling. Solid birch wood frame, dovetail joints, soft-close glides and hinges, plus flip-down drawers beneath the sinks means Colton delivers quality in both form and function. It also includes a carrera white marble top with rectangular undermount sink. Complete the look with matching mirror and linen tower. You cannot miss with Colton.